My D&D group is on a mission to help sick and injured kids in our local community and we need your help. Each of us has chosen our local Children's Miracle Network Hospital that treats hundreds of children each year, regardless of their illness, injury or even their family's ability to pay. These kids are facing scary stuff like cancer, cystic fibrosis, and injuries they may get from just being a kid. Every other week we get together and have some D&D fun, and to top it off, we stream our games! Now for the fun stuff! Want to throw a wrench in the DM's plans or make a game more interesting? We will have wheels of fun and misfortune to spin with different things that can affect that game session, the higher level of Patreon, the more you can affect. 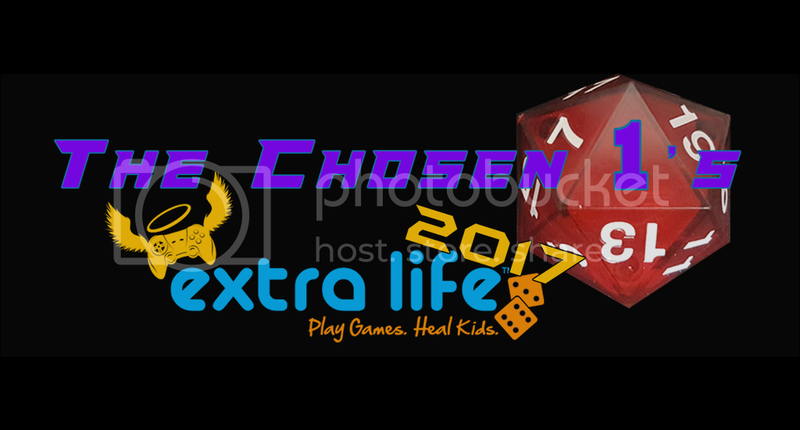 On top of that, we are currently donating the majority of your patronage directly to the charity Extra Life, the little we are not is being set aside to buy better equipment in the future. $15 Tier - Thank you! Have 2 of the D&D players characters duel to the death!